Dried fruit comes in many different shapes and sizes, some of my son’s favorites include freeze dried, baked dried and homemade fruit roll-ups. 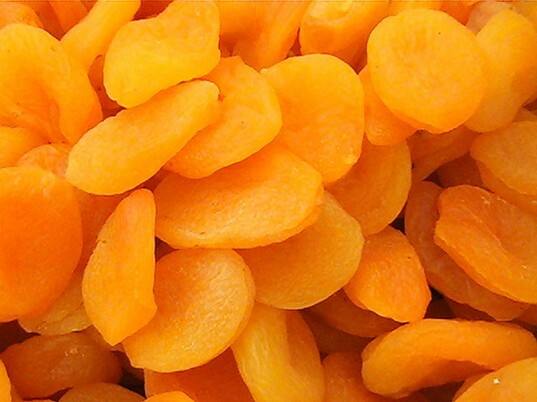 When making dried fruit for my son, I choose fresh, organic fruits that are in season. If you don’t have the time to make your own large batches of dried fruit, you can find an amazing selection at your local health food store. Organic raw nuts and seeds are one of the best backpack snacks, they packed full of brain boosting omega-6’s. Raw nuts and seeds are super easy to pack and the perfect snack for your little ones giving them a boost throughout the school day. 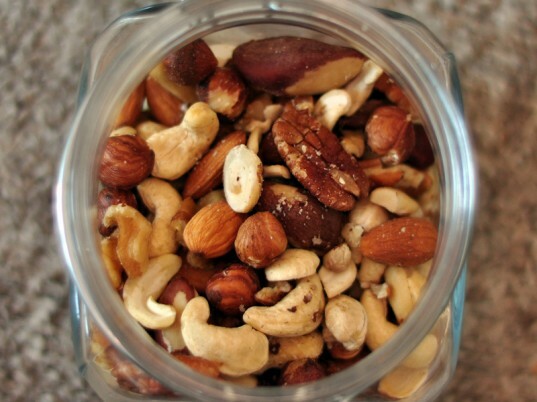 I also like to keep little nut and seed snack packs not only in my son’s backpack but wherever he may want a snack – in the car and on the coffee table in our family room. 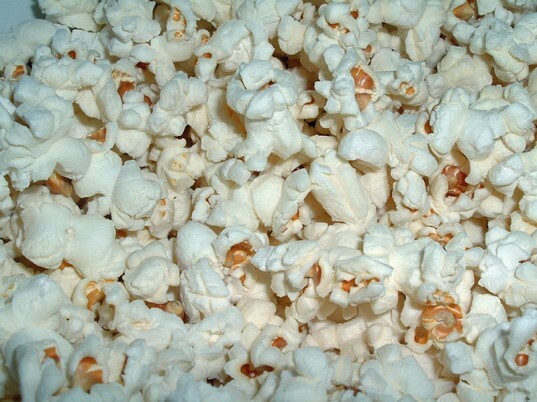 Air popped popcorn is a great snack not only because children love popcorn but it is full of micro-nutrients too! If your child isn’t crazy about plain popcorn, you can jazz the flavor up by adding their favorite seasoning or spice. This is a snack that is easy to pack and has a huge fun appeal too! Granola is a fantastic snack packed full of fiber and when you make your own granola – you can make a batch that is unsweetened and packed with goodies such as dried fruit. Another great reason to make granola for your kiddos is that you can customize it to their tastes and it makes its a snack that the entire family will enjoy. Yogurt is a great snack for kids because it is packed with calcium, protein and can boost immunity. 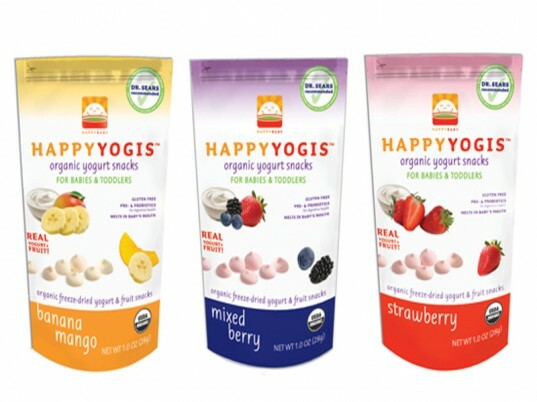 Freeze dried yogurt bites such as those made by Happy Family are a great because they don’t require refrigeration and have no artificial colors or flavors. You can make your own frozen yogurt bites as an after school treat, since they need to stay in the freezer until your child is ready to eat them. What could be healthier than vegetable sticks as a backpack snack for your little ones? 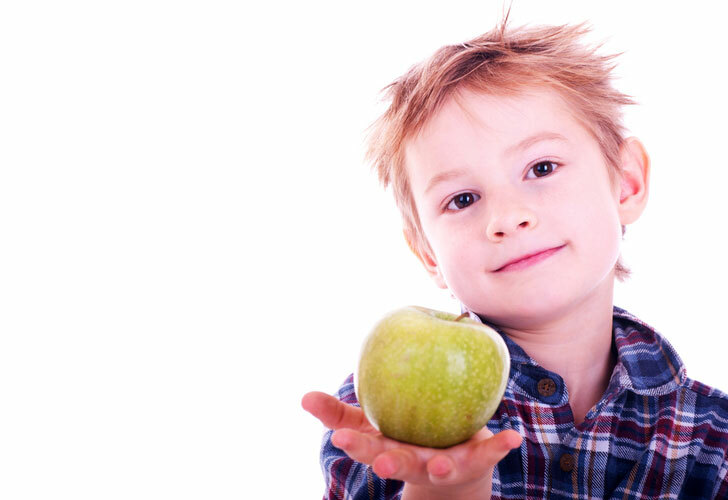 If getting your children to eat their vegetables is tough – you may think that getting them to eat them for snack time will be impossible. Not true – if you have a trick or two up your sleeve. My tried tricks are all in the dip – if I pack a yummy organic Greek yogurt dip, hummus or peanut butter with my son’s vegetable sticks, he will gobble them up every time. Most fruits are so yummy on their own that a dip isn’t necessary, but for little ones dipping sure is fun. I like to pack a yummy strawberry Greek yogurt with my son’s fruit just to add a little more fun and yum to his favorite fruits. 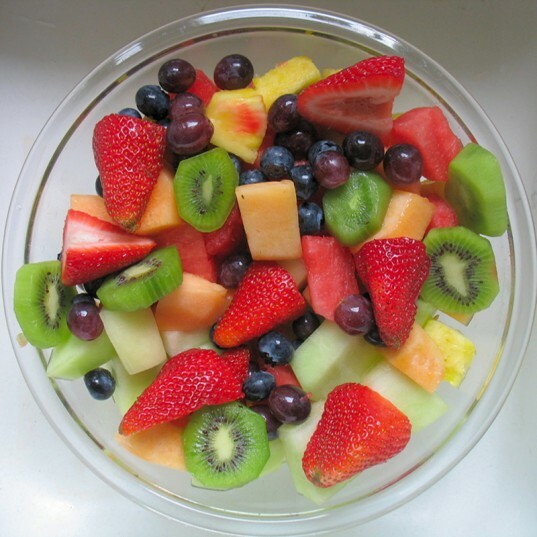 And this is always a great way to get him to eat fruits that he isn’t crazy about – in his case, kiwi. While I am not a huge advocate for sending cookies, crackers or other treats as a snack, I believe in moderation and think that kids deserve a sweet treat now and then. 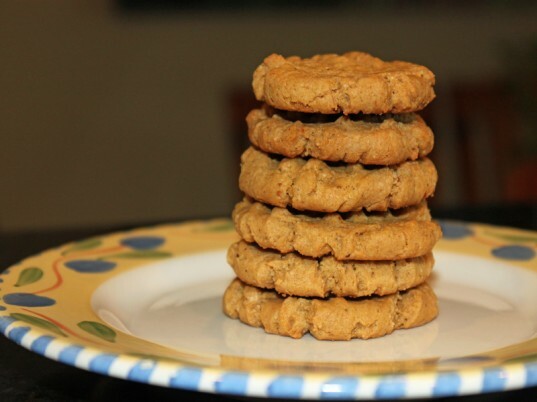 To get the most out of the cookies, crackers and treats that my son eats, I try to only use vegan ingredients, 100 % whole-wheat and whenever possible I will add veggies and fruit to the batter! What organic backpack snack will you be packing for pack to school? Dried fruit comes in many different shapes and sizes, some of my son's favorites include freeze dried, baked dried and homemade fruit roll-ups. When making dried fruit for my son, I choose fresh, organic fruits that are in season. If you don't have the time to make your own large batches of dried fruit, you can find an amazing selection at your local health food store. Organic raw nuts and seeds are one of the best backpack snacks, they packed full of brain boosting omega-6's. Raw nuts and seeds are super easy to pack and the perfect snack for your little ones giving them a boost throughout the school day. I also like to keep little nut and seed snack packs not only in my son's backpack but wherever he may want a snack - in the car and on the coffee table in our family room. Air popped popcorn is a great snack not only because children love popcorn but it is full of micro-nutrients too! If your child isn't crazy about plain popcorn, you can jazz the flavor up by adding their favorite seasoning or spice. This is a snack that is easy to pack and has a huge fun appeal too! 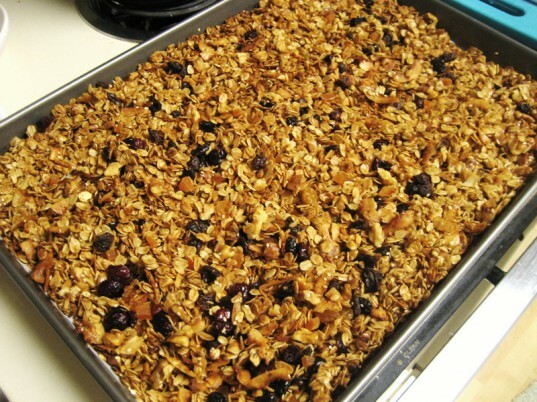 Granola is a fantastic snack packed full of fiber and when you make your own granola - you can make a batch that is unsweetened and packed with goodies such as dried fruit. Another great reason to make granola for your kiddos is that you can customize it to their tastes and it makes its a snack that the entire family will enjoy. Yogurt is a great snack for kids because it is packed with calcium, protein and can boost immunity. Freeze dried yogurt bites such as those made by Happy Family are a great because they don't require refrigeration and have no artificial colors or flavors. You can make your own frozen yogurt bites as an after school treat, since they need to stay in the freezer until your child is ready to eat them. What could be healthier than vegetable sticks as a backpack snack for your little ones? 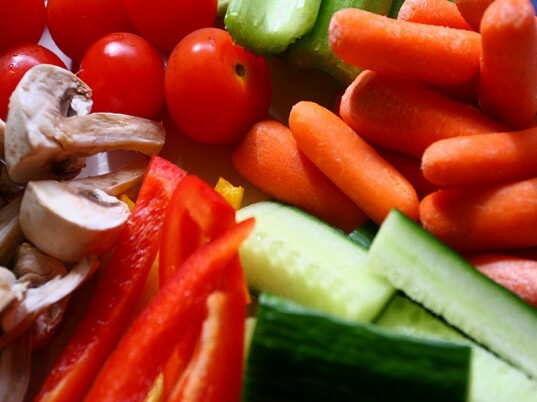 If getting your children to eat their vegetables is tough - you may think that getting them to eat them for snack time will be impossible. Not true - if you have a trick or two up your sleeve. My tried tricks are all in the dip - if I pack a yummy organic Greek yogurt dip, hummus or peanut butter with my son's vegetable sticks, he will gobble them up every time. Most fruits are so yummy on their own that a dip isn't necessary, but for little ones dipping sure is fun. I like to pack a yummy strawberry Greek yogurt with my son's fruit just to add a little more fun and yum to his favorite fruits. And this is always a great way to get him to eat fruits that he isn't crazy about - in his case, kiwi.